If you made it to this page, then there’s a good chance you’re looking for something MORE than you’re getting from your current work in dentistry. No matter what your current situation is like, this is your opportunity to come along on a short tour of a world most dentists will never know exists. This is the world of dental sleep medicine done right…the way that actually works. It’s a world where, instead of spending your days drilling and filling just to make ends meet, you can actually contribute to SAVING PATIENTS’ LIVES and being on the receiving end of the many rewards that come from such a service. It’s a world where you can actually build an asset that can and SHOULD run without you in the office. The sleep industry is rigged for dentists to fail. Using a traditional model, dentists don’t stand a chance against the sleep doctors and multi-billion dollar CPAP industry. The Dental Sleep MBA™ model completely flips this dynamic upside down and puts dentists far out in front. Before we talk about how to do dental sleep medicine the right way, I want to make sure you understand why 99% of dentists who try this fail. Most dentists who have learned about dental sleep medicine (or taken a course) go back to their offices convinced that they just walked into the next big thing. Yet 99.9% of them treat three patients or less their entire career, get paid for none and quit. With such a poor success rate (even lower than car salesmen), one of two things must be true: either the entire business is a low quality opportunity, or there’s something wrong about the way most dentists do it. The interesting thing is that there are dentists succeeding in sleep medicine. Some have even built practices with annual collections over one million dollars and an overhead below 30%. While the average “successful” sleep dentist might do 4-5 appliances per month, the truly successful practices are doing 40-50 and beyond. So clearly, dental sleep medicine is a great opportunity for some dentists. But most dentists will never experience that success primarily because they fall victim to a long list of myths. While these myths might sound completely rational on the surface, in practice they bring nothing but struggle, frustration and ultimately, failure. Dentists are smart. But when they enter the world of dental sleep medicine, they end up working off of bad information. Theories and strategies that don’t create results in the real world. Many dentists think they “failed” at sleep, but what really happened is that they fell victim to all of the myths they thought were true about how to succeed. I’ll highlight 5 of the biggest myths of dental sleep medicine for you right now. Chances are you believe at least one of them. Myth #1: Doctors will refer patients to your sleep practice. It’s easy to get excited at a weekend sleep course. The idea of treating patients in a way that’s easier and far more profitable than traditional dentistry is enough to get anyone excited. There are some excellent instructors out there who really know their stuff when it comes to the science of sleep. But when it comes to leveraging that knowledge into real business success, things get a little bit complicated. There are literally 40 million or more patients that have undiagnosed obstructive sleep apnea in the country, which means the opportunity is there. Figuring out how to get to them is the hard part. One of the challenges you soon discover after leaving a sleep course is that the suggested patient getting strategy of “generating referrals from doctors” doesn’t work as well as you had hoped. Doctors have no reason to send patients to you. Most physicians refer only a handful of patients to the sleep doctor. Since they receive so few patients already, why would they send them to you for an oral appliance when they could treat those patients and put them on a CPAP? This would be like a dentist sending cleanings to a periodontist or anterior root canals to an endodontist. That is the equivalent of a sleep doc sending you a patient with mild/moderate OSA. It just does not make sense. So depending on these referrals is a terrible strategy. It will never work well enough for you to build a successful sleep practice. TRUTH: If you’re going to build a successful sleep practice, you must be in control of patient generation. You cannot depend on referrals. You must put yourself in a position to create patients. Myth #2: Getting the patients is the only hard part. 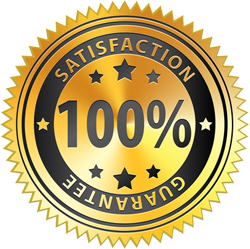 Most dentists don’t know that insurance companies basically reject every oral appliance claim from the very beginning. All of the claims literally start in the “reject” pile. Guilty until proven innocent is the way it works. If you do not complete each step of the process perfectly, at the right time, every time, you will not get paid. So while many dentists think that getting patients is the hardest part to building a sleep practice, it doesn’t even come close to successfully navigating the insurance companies so you can actually get paid for your work. The bad news is that doing this well is complicated. The good news is that if you do it right, you will experience consistent reimbursements that will make everyone else around you jealous. Unfortunately, the insurance requirement to get paid for an oral appliance is constantly changing and is not taught well at most courses. If you have not taken a course within the past year, you are out of the loop. TRUTH: If you are not experiencing an average reimbursement of $3,000 (or higher!) per appliance, you are doing something (or many things) wrong. Myth #3: If I’m doing it right, I’m going to make money right away when I start a sleep practice. It’s no surprise this is a common myth because this is how we’re trained to think in dental school. We were never trained to analyze opportunity from a Return on Investment point of view. We were trained to analyze opportunity from a monthly “money in, money out” perspective. It’s very short term thinking, but it’s also how dentists survive. While this thought process is logical and rational, it is also the very reason that dentists have to work so hard for decades. If something is not profitable quickly, how could it possibly be a good opportunity? Dentistry is unique in the business world because it’s really one of the few businesses where you can literally be profitable on day one. But to discount other business ventures just because they don’t share that trait in common is extremely shortsighted and will lead to you missing out on some big opportunities. Sleep medicine is one of those opportunities. TRUTH: If you build it right, a brand new sleep practice will not be profitable until month three to five. From there, however, you can experience quickly climbing revenue and an overhead of somewhere between 15% and 30% (that’s not a typo). You are not building a service business, you are building a business that can run without you—a true asset. Myth #4: It’s going to take forever to build a brand new sleep practice. Dental sleep medicine is an entirely different world compared to dentistry. While it takes a long time to build a successful traditional dental practice, sleep medicine is about bigger results, faster. This means your retirement can look a whole lot brighter, much sooner. In an average dental practice, you’ll be lucky to sell your practice for $750K – $1 million. I say “you’ll be lucky” because, to get that money, you actually have to find a buyer. And it can’t be any buyer, because really the only one who is going to be interested in buying a dental practice is another dentist. So the pool of qualified buyers is fairly small. That’s the reason that dental practice sales are really weighted to the buyer. And the 60%-70% of production sales formula is always in play. When you build a sleep medicine practice (the right way), you are actually creating an asset completely separate from anything else you do in dentistry. If you choose, it can run and grow without you. And eventually, when you want to sell it, you will be showing a great investment opportunity (that you could sell for $3 million – $8 million, think a 3-10X multiple) that could get the attention of any smart entrepreneur. Does this have to take 20 or 30 years? No. You can do it in 3-5 years. TRUTH: If you’ve been practicing over five years and you don’t have a practice you could sell for $3-8 million to any smart entrepreneur, then ask yourself what you think your future is going to look like? Will you be able to enjoy everything life has to offer or will you be “cutting back” to conserve your resources? Myth #5: The dentist who works hardest wins. No dentist wakes up in the morning excited about working harder today than yesterday. And yet this is what the reality of traditional dentistry is. You have to work harder today than you did 20 years ago just to keep yourself from falling behind. Being willing to “work hard” is what kills so many dentists from the inside out. Reimbursements shrinking? Pick-up the slack, work harder, and make up for it. Marketing campaigns not producing like before? Go make something happen to keep production steady! Must work harder! This approach does not lead to success in sleep medicine. Yes, action is important. But “hard work” is not valued. Smart work is what you need. TRUTH: Success in dental sleep medicine requires you give up any addiction you have to hard work. When you’re building a business like this one, the goal is not to work harder to increase results, it’s to work less while watching your results skyrocket. The Dental Sleep MBA™ Preview Event will show you a detailed roadmap to succeed in dental sleep medicine. The Dental Sleep MBA™ Preview Event is a multi-day training in the BUSINESS of dental sleep medicine. Yes, you’ll learn about the science of sleep. But that’s just the beginning. The rest of the time is used to cover the entire system we use to basically turn the traditional dental sleep medicine model upside down. This is called a preview event, because that’s exactly what it is. We will SHOW YOU the entire process, step-by-step, and have you in a room long enough that we can clearly and meticulously explain every part of the system we’ve taught to some of the most successful dental sleep medicine practice owners in the country. What we cover during this event is not something you will find anywhere else. No one else could present this to you because no one else KNOWS IT. We’ve pioneered a complete system for getting sleep patients, getting paid and everything in between. You’ll hear more details about that at the Preview Event. NOTE: Each attendee will receive 18 CE credits. Do You Really Want To Be One of Those Dentists Who Can Never Stop Working? Traditional dentistry does have some serious benefits, which is why there are so many dentists. Yes, school is expensive and takes a lot of work, but you can pretty much be profitable the very first day you open up. In the business world, immediate profitability is rare. Traditional dentistry also provides a well-above-average living for you and your family. As long as you don’t let your overhead eat up EVERY LAST DOLLAR, dentistry is not a bad way to make a living. But when it comes to retirement, it becomes very obvious that, for most dentists, their work is little more than a well-paid job. Yes, you can do well, provided you keep working. And you can even make some pretty good money if you build up your practice and get some associates. But a practice like that is never going to create a huge amount of profit without a huge amount of effort at the same time. I know this path well because, at one time, I was on it. Before I completely gave up dentistry in favor of dental sleep medicine (you don’t have to do it this way, you can do both dentistry AND sleep), I was on the road to working 30 years to build a practice, sell it for as much as possible, and then hope the money was enough to last the rest of my life. I have no idea how that would have turned out. What I do know is that most dentists deal with an enormous amount of worry and stress when it comes to figuring out retirement. Understand this: WORRYING is not a productive way to plan for retirement. Dental sleep medicine is completely different. The first thing you want to get clear on is that this is not dentistry. This is not a well-paid job. This is a business. This is a path to building an asset that you control without having it control YOU! The Dental Sleep MBA™ Preview Event will walk you through each step of doing dental sleep medicine the smart way. We’ll cover oral appliances, patient screening, patient getting and go into extreme detail about getting paid. And you’ll have plenty of opportunity to get all of your questions answered. It’s sounds like a big promise, and it is. So if you’re skeptical that the Dental Sleep MBA™ approach to success in sleep actually works, you’re not alone. Anything THINKING person would be skeptical of someone announcing a way to succeed in an industry where dentists fail almost every…single…time. And that’s why we do these Preview Events. It’s an educational and low-risk way to SHOW you how this works. We’ll give you details, facts and figures so you can see the proof for yourself. And, depending on how things go, you might actually end up transforming your future in the process. These two members started off right where you are, unsure if dental sleep medicine was for them. They came to a Preview Event and eventually ended up joining the FULL four-year program. As you’ll see, they are building successful dental sleep medicine practices. While I could never guarantee that a three day dental sleep medicine course will make all of your wildest dreams come true, I can certainly guarantee that you will leave the event knowing more than 99.9% of dentists know about how to truly succeed in dental sleep medicine. What you do with that knowledge from there will be up to you. Some dentists simply go on their way and return to traditional dentistry. 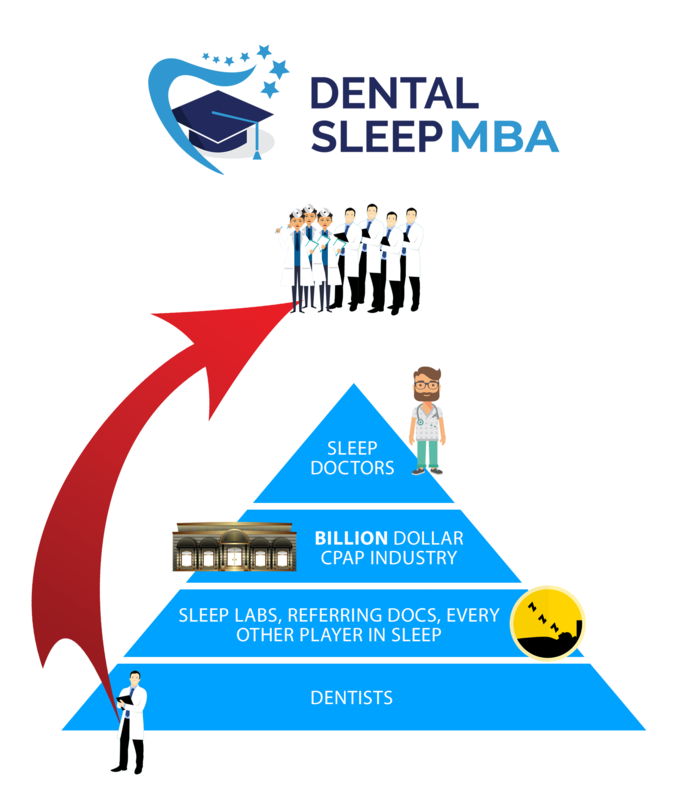 A fair amount, however, choose to enroll in the four-year Dental Sleep MBA™ program and get our guidance, systems and support to build a successful dental sleep medicine practice. Registration is $1,495 with the option to enroll a Staff Member for an additional $795. In addition to your enrollment, a complimentary invitation will also be extended to your spouse or partner. That way, they can attend select portions of the event so you won’t have to go home and start from scratch explaining everything to them. We have our Preview Events in some pretty ideal locations, so the rest of the time they can enjoy relaxing and seeing the sights. To enroll in an upcoming Dental Sleep MBA™ Preview Event, please check the schedule and current availability below. “Look Over the Shoulder” Day at a Real Sleep Practice on May 16!